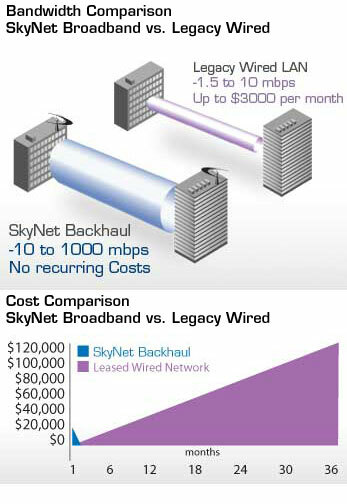 SkyNet customers include Government, townships, ISP’s, WISP’s, and any areas rural or metropolitan where there is a need to provide wireless internet coverage to a mass population. 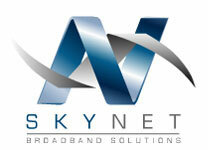 SkyNet’s solution are engineered to account for every variable of your specific environment and need. Our vast experience included one of the first functional WIMAX installations in Canada, and one of the largest and fastest 802.11 installations in the world. We utilize the latest technology in 900mhz, 2.4ghz, 5.8ghz, 802.11x, backhaul, and last mile to achieve network designs that are reliable, stable, secure. Our designs offer unparalleled performance at a cost that offers significant ROI over traditional wired networks.